I’m super excited to be playing with Ramana Vieira at Doc’s Lab in San Francisco! I never performed there but heard great things about this place, so this is going to be a treat. We do some amazing fado songs which Ramana is well known for, but also adding some American standards, so the evening will be really diverse, fun and exciting. Come and hear us play, Sunday 07/16 at 7 pm. I’m playing two super fun gigs, on Wednesday June 21st and Friday June 23rd. The first one is with amazing Orchestra Nostalgico for the Garden of Memory at the Chapel of the Chimes in Oakland. The Garden of Memory is a beautiful event celebrating the solstice. It’s held from 5 pm to 9 pm and features many groups and performers. Orchestra Nostalgico will perform iconic movie soundtracks from Once Upon a Time in the West, Armacord, 8 1/2, James Bond and more. On Friday June 23rd I get to perform with David James and his ensemble GPS at Red Poppy Art House in San Francisco. Playing with David and the group of people he gathered together is always an extremely rewarding experience. His brilliant writing along with the social commentary it conveys, makes his music particularly relevant. The concert at Red Poppy starts at 8 pm. On January 28th I will be performing with Ramana Vieira at Piedmont Piano in Oakland. The concert starts at 8 pm, come for a healthy dose of beautiful fado music! And on February 10th I will be playing viola with David James’ GPS at the Presidio Officers’ Club in San Francisco. Jazz-meets-chamber rock sextet, as David describes his project, features unusual instrumentation and is a great fun to participate in. Finally, if you miss Ramana Vieira in Oakland, you can catch up on the fado experience on February 18th at The Red Poppy Art House in San Francisco. Hope to see you in 2017! the opera composed by Erling Wold and based on the life of a Russian writer and visionary Daniil Kharms is returning to Bay Area! This time we will be performing in Oakland, at Oakland Metro Opera House (522 2nd Street, Oakland, CA 94607). 4 shows, Tuesday 08/30, Wednesday 08/31, Saturday 09/03 and Sunday 09/04. We will be performing beautiful fados from her latest album in a public library in Livermore (1188 S Livermore Ave, Livermore, CA 94550), on Sunday, 09/18 at 2.00 pm. Free admission! SFMusic Day with DAVID JAMES and his ensemble! We will be performing on Sunday, 09/25 at 6.15 pm at Veterans Memorial in San Francisco. The whole event is dedicated to highlighting the Bay Area music and local ensembles. This time, I will be playing viola! Admission is free! On Sunday, March 13th, I will have a great pleasure of participating in an event dedicated to a Russian American avant-garde filmmaker Maya Deren (1917-1961). The event is organized by a Bay Area based audio visual artist and electro-acoustic composer and improviser Jeanie-Aprille Tang and held at The Lab from 7 to 9 pm. It will feature four of Deren’s experimental muted movies with live music performed by different ensembles. I will do something slightly different than the rest of performers – instead of contributing to a live movie soundtrack, I will perform in between 2 films – presenting an eerie and fantastical piece by Eugene Ysaye – Ballade. Ysaye (1858-1931), one of the greatest violin virtuosos of his time, composed a piece that conveys a strong sense of anxiety and unsettlement. Whimsical runs of chords and double-stops bring intense culminations, that immediately drop down to a whisper, keeping the listener in suspense. Ballade seems to be a perfect complement for Maya Deren’s surreal art, with its dream-like narrative and introspectiveness. I’m extremely excited to be playing with Ramana Vieira and her fado group in Oregon over the post-Thanksgiving weekend. 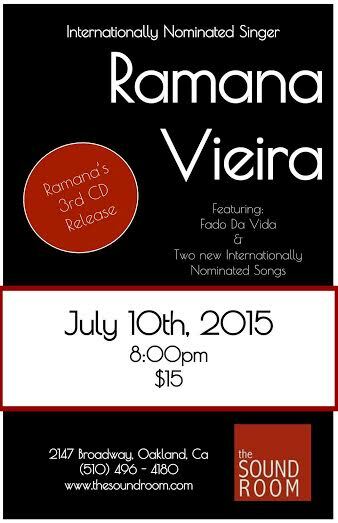 The tour is promoting Ramana’s latest album, Fado da Vida. It will be my first visit to the state north from California and I’m very much looking forward to it. We will hit the college town of Eugene first and then will play 2 shows in Portland. According to Wikipedia, “Eugene’s slogan is “A Great City for the Arts and Outdoors””, so, who knows, I might do some hiking after we’ve shared our art with the good people of Emerald City. My sole knowledge of Portland comes from Portlandia and I can’t wait to confront the reality with the myth. Sunday, November 29th, 7 pm, Vie de Boheme, Portland. In the last couple of months I have been working with established Bay Area singer Ramana Vieira, who performs a traditional Portuguese genre – fado. Fado songs evoke a feeling of longing and melancholia, capturing life at sea and the plight of the poor. No sense of triumph here, although there is little glimmer of hope and humor every now and then. 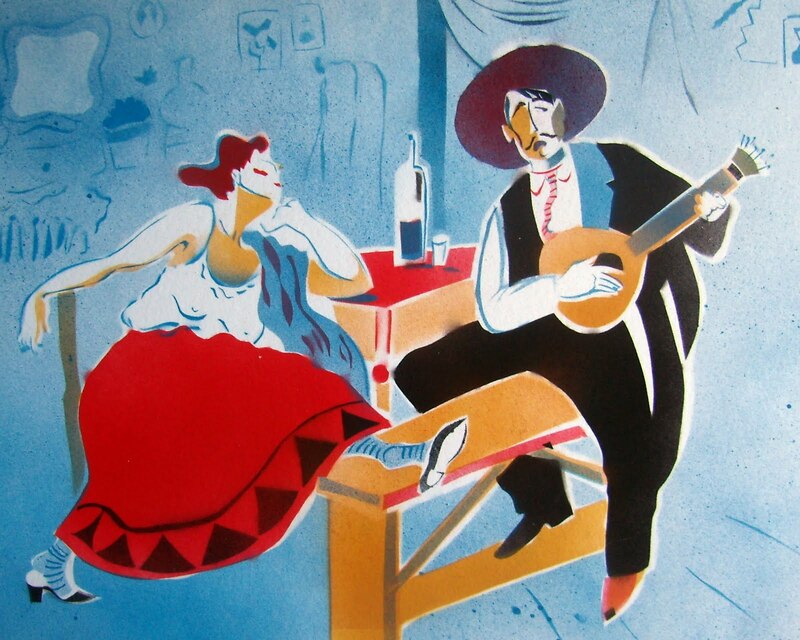 But what really matters is that fado songs offer a way of expressing what often is so hard to capture – their simple stories help to relive, face and ultimately reconcile ourselves to our existential fears and inevitability of loss in many areas of our lives. They teach us how to let go of things we cannot control and hold on to things that are eternal.